The Sisters of the Holy Names of Jesus and Mary work interdependently for the common good. We stand in solidarity with poor and marginalized persons, and we make promoting justice a priority in our work as educators. 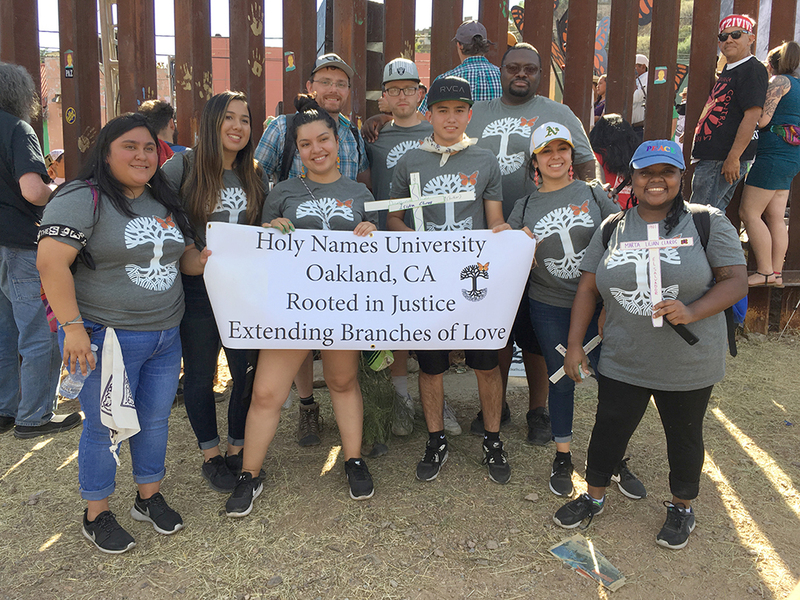 In addition, the Province co-sponsors the Intercommunity Peace and Justice Center (IPJC), which acts for justice in the church and in the world. IPJC is sponsored by 16 religious communities and collaborates with Catholic, ecumenical, interfaith and other organizations to carry out its mission. IPJC areas of focus include anti-trafficking, water, immigration and economics. Our SNJM Congregation participates in three non-governmental organizations (NGOs) that help Sisters collaborate with national and international agencies working for systemic change. UNANIMA International – an NGO advocating for women and children (especially those living in poverty), immigrants, refugees and the environment. Development and Peace– the official international development organization of the Catholic Church in Canada. It supports partners in the global south who promote alternatives to unfair social, political and economic structures. Transformation Resource Centre – an ecumenical NGO based in Lesotho that advocates for justice, peace and participatory development.